Drone photography is an absolutely exhilarating experience. 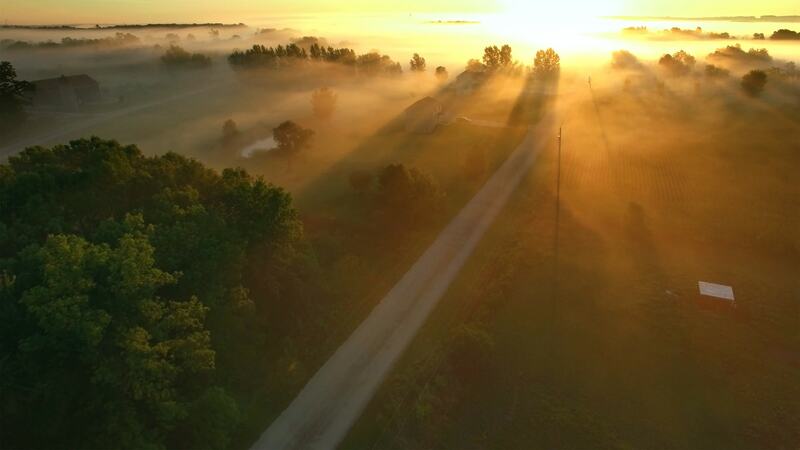 Drones allow for truly stellar shots, providing you with the opportunity to shoot angles and perspectives previously only accomplished with helicopters. From a composition standpoint, the process of capturing stunning visuals with a drone is more complex. 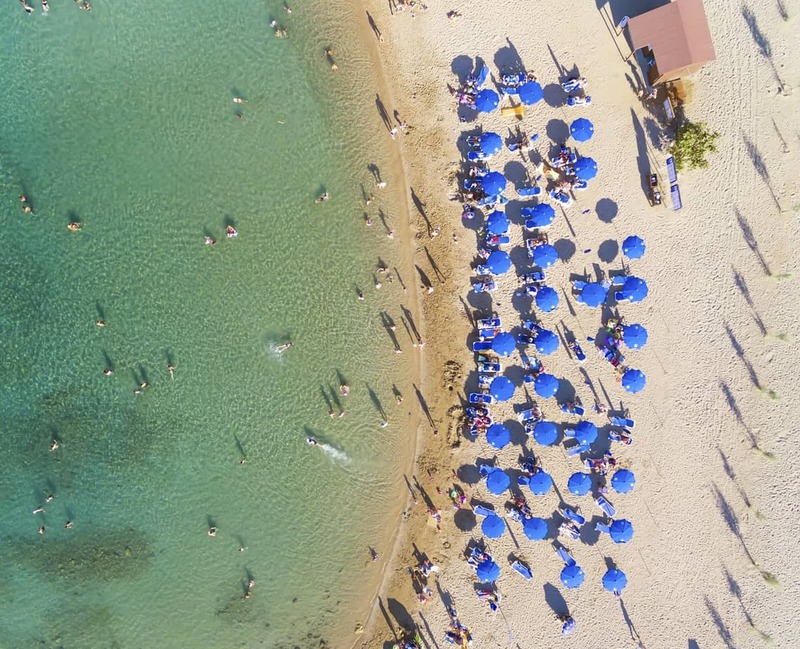 Due to the nature of a drone, there are a multitude of ways to shoot a particular subject. Approaching from above, sweeping left to right, coming up from below -- all of these result in a different final image. However, there are some basic composition tips that will help you create great drone photos. Editor's Tip: Want to get equipped for drone photography? Our friends at DJI have a complete line of drones to fit just about every budget. We highlight their drones in this article, but to explore their drones more, visit Drone World. Our eyes are trained to see images of other people. That's true even if they are quite small in the frame. 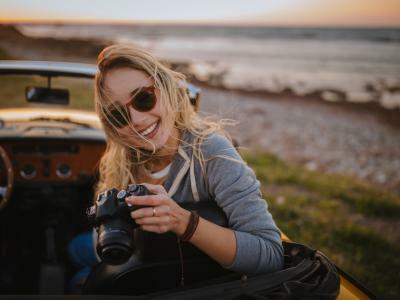 By adding people to your drone photos, you give viewers something with which to immediately connect. Including people also helps the viewer understand the scale of the shot. In looking at the image above, you get a sense of just how high up the drone is based on how small everyone is in the frame. This photo also illustrates the value of repetition - the pattern of the umbrellas makes this shot much more visually appealing. Bonus Tip: Take multiple photos of the same subject from different points of view with a DJI Mavic Pro. 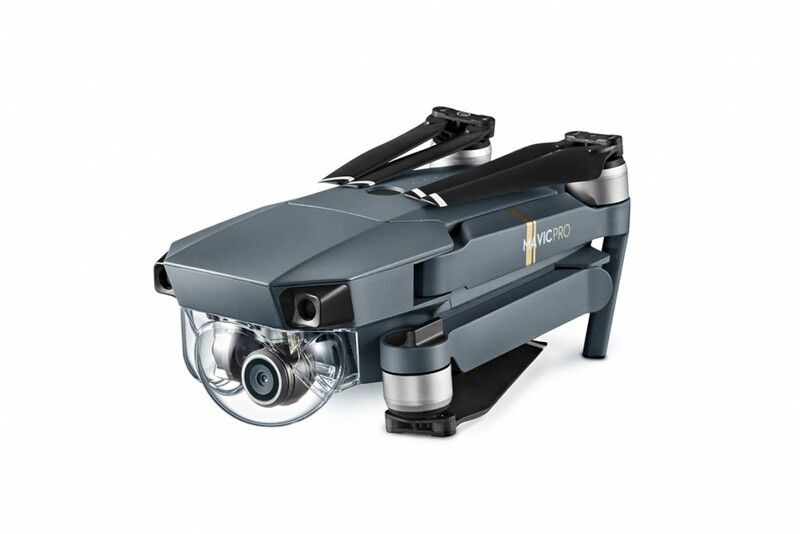 The Mavic Pro has multiple shooting modes, including Spotlight, which keeps the camera trained on your subject as you move the drone from one position to the next. Color adds drama and dimension to every picture, especially those shot with a drone. 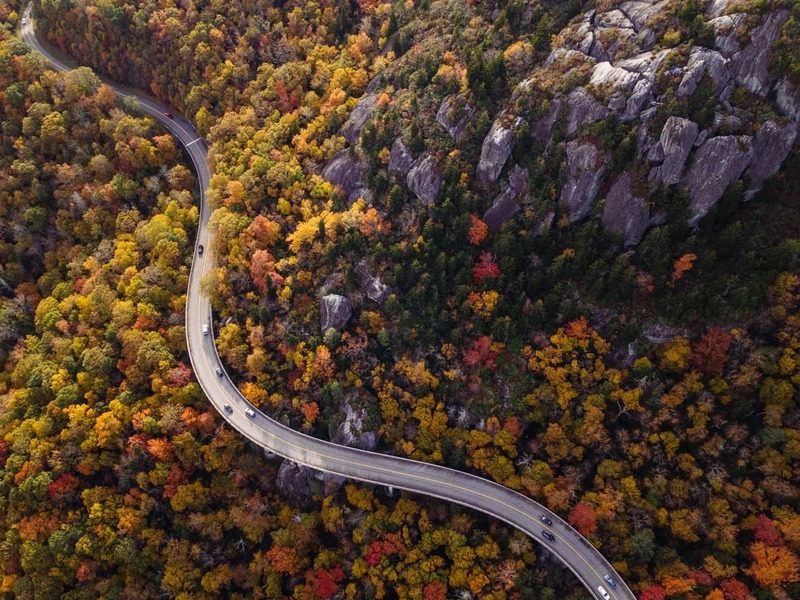 With such a wide view of the landscape below, drone photography is rife with opportunities to show off vibrant colors and gorgeous contrast to delight the eye. The photo above of the fall colors is a prime example of this. The red, orange, and yellow tones of the foliage give the landscape life and vitality that make this an eye-catching shot. Sometimes a captivating shot engages the viewer with only a few colors. 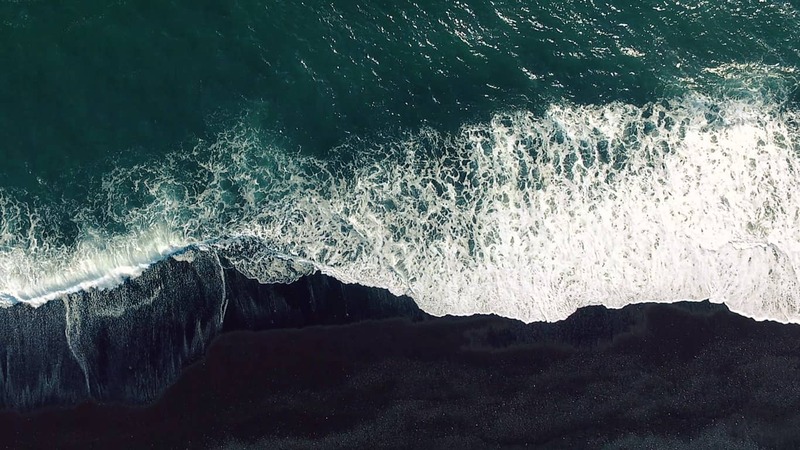 In this image, the dark green water and the black sand give this shot some dark moodiness while the bright white of the waves draws you in. In this case, although only three colors are captured, the resulting image is completely engrossing. Using leading lines in landscape photography is a tried-and-true method for giving your images more dimension. Pus, leading lines help the viewer's eye move through the shot in a more purposeful manner. The road in the shot above is an ideal example of this: it brings your eye from the foreground, to the midground, and finally to the background. 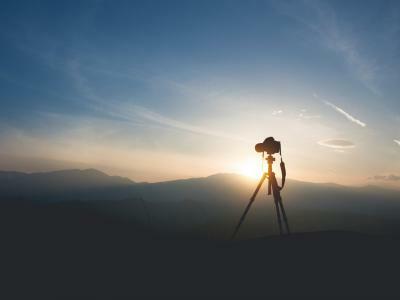 Even the long shadows cast by the features of the landscape help move your eye from the front to the back of the shot. 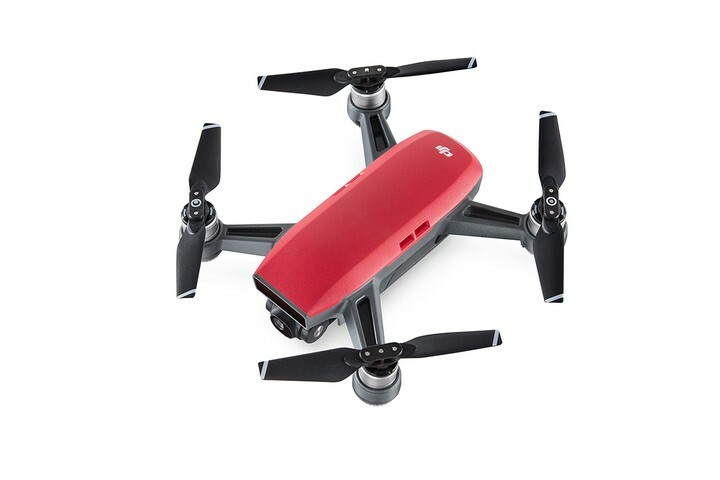 Bonus Tip: If you find your images suffer from glare or sun flare, upgrade your drone experience with the DJI Spark Upgrade Kit. 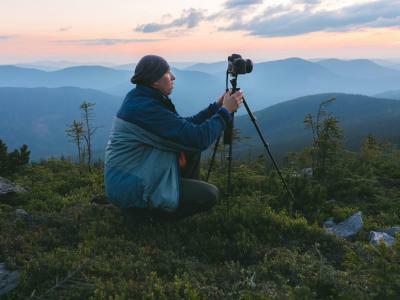 This kit has plenty of goodies, including a camera sunhood that help minimizes sun flare. It also includes a set of CPL filters to reduce glare from non-metallic surfaces like water. Find out more here. 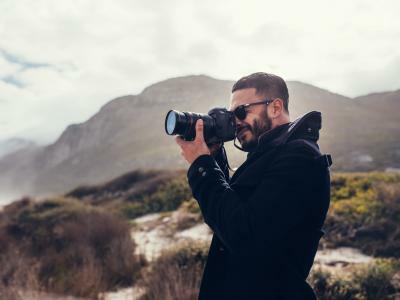 Part of the struggle with any type of photography is trying to capture the depth and dimension of three-dimensional subjects in a two-dimensional medium. 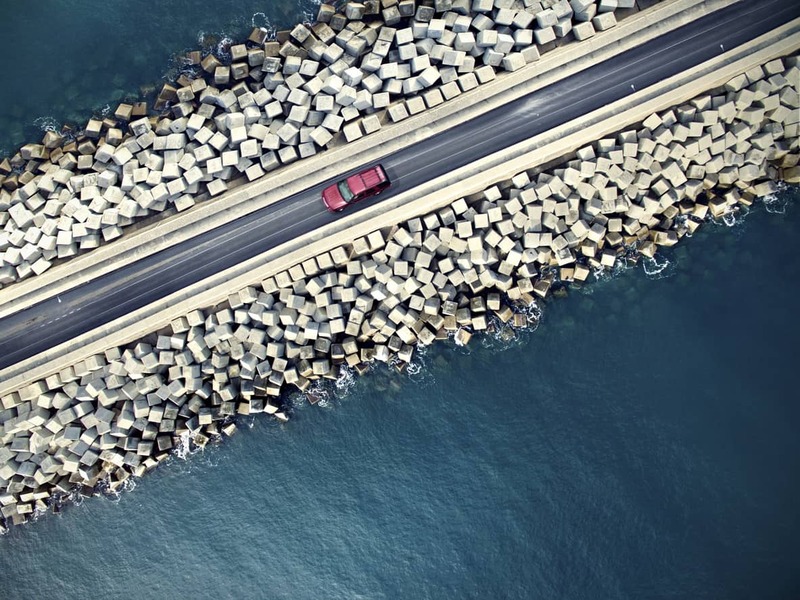 To avoid flat-looking drone photos, look for opportunities to incorporate texture into the shot.In the image above, the chunky, rectangular blocks on either side of the road create a texture that's both interesting to look at and provides much-needed depth to the shot. That depth is created in part by the angular lines of each block and by the contrast between the pale color of the blocks and the shadows. Note how this image combines the two tips outlined above - leading lines and color. 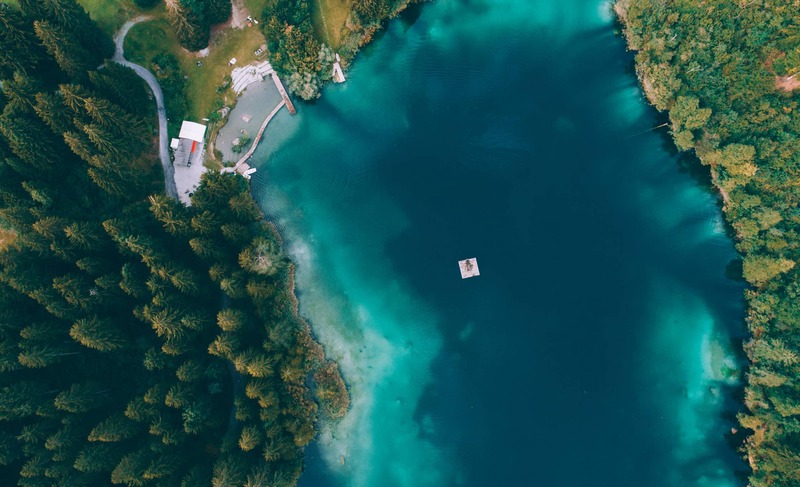 Try these drone photography composition tips by themselves or all together and see how they can improve the quality of your images.